Click here to view more floor machines. 1.5-HP floor machine is great for contract cleaning. 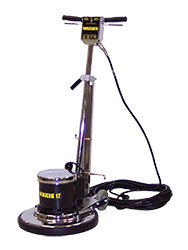 Precision balance for maximum cleaning efficiency and reduced operator fatigue lets you polish, spray buff, scrub, spin clean or rotary scrub carpets with one machine. Includes pad driver. See specifications table for details. 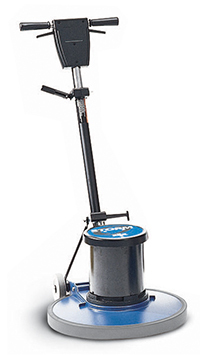 The FM800 offers operators powerful orbital scrubbing technology in a floor machine. 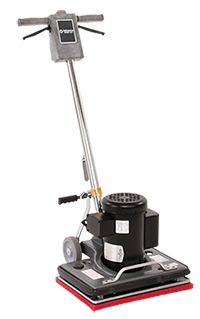 The FM800 is the ideal orbital floor machine for reaching small areas and detail work that larger auto scrubbers may not be able to reach. 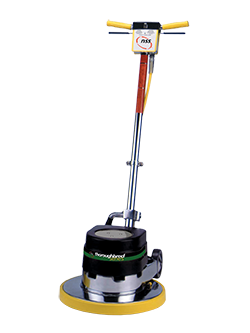 Orbital scrubbing technology is ideal for the chemical-free removal of floor finish in preparation for re-finishing. The FM800 cleans at 1,725 ¼" orbits per minute. With a totally enclosed motor, and lower speed, the FM800 runs at 58 dBA, which is ideal for cleaning in noise sensitive areas. An optional solution tank will feed cleaning solution directly to the pad.